Before people could view the bizarre from the safe glow of their cell phone, they would find it at sideshows. 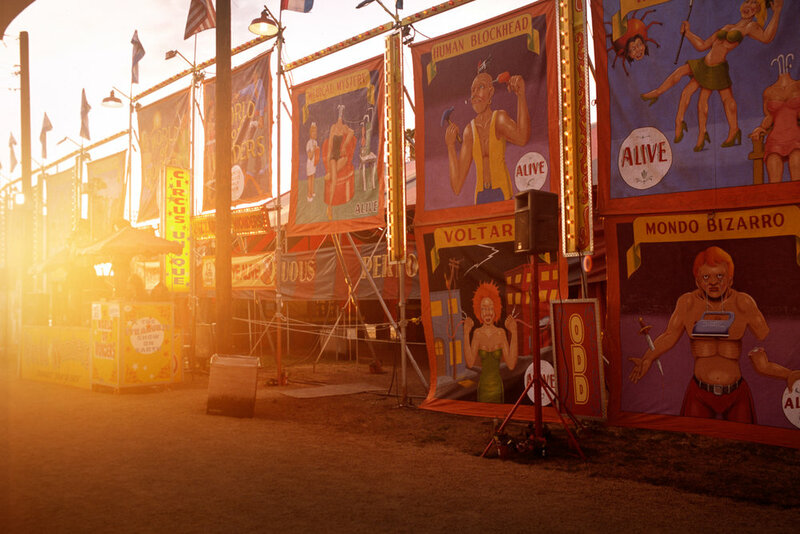 Also known as “freak shows,” they offered audiences a variety of fantastical displays. Viewers would attend to watch performances by the sword swallower, the human pin-cushion, and the fire eater. 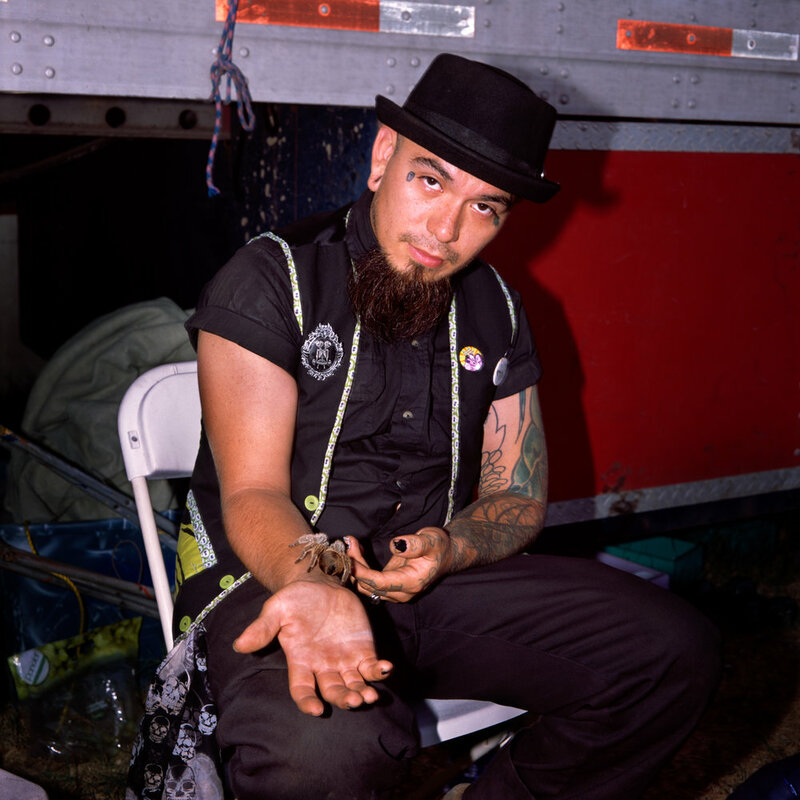 They could see strange animals such as a two-headed snake, either alive as part of the show or preserved in a jar. 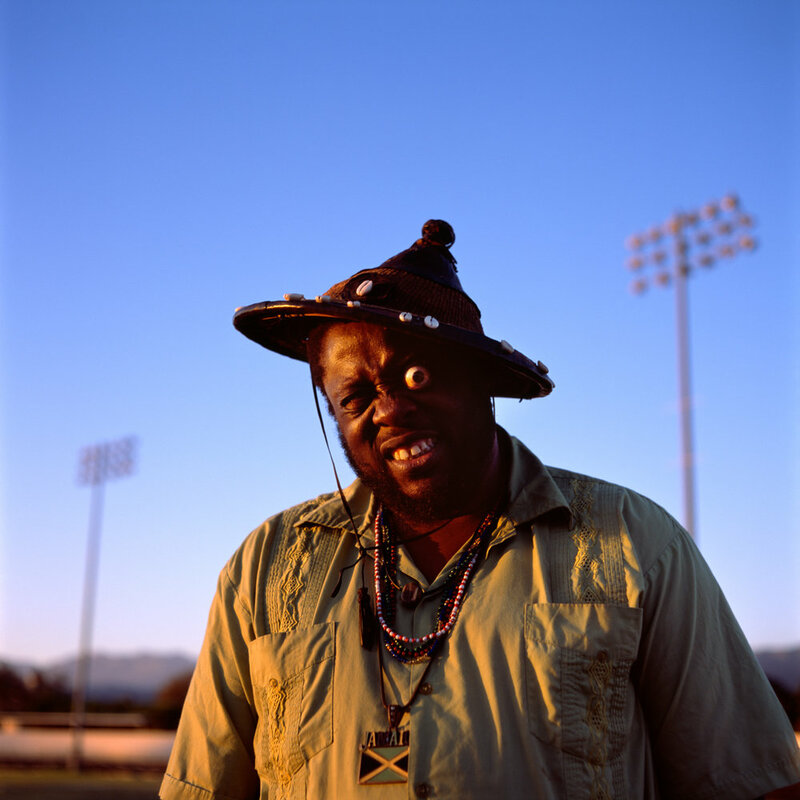 They also would also gawk at ”human oddities,” such as giants, bearded ladies, or half-men. 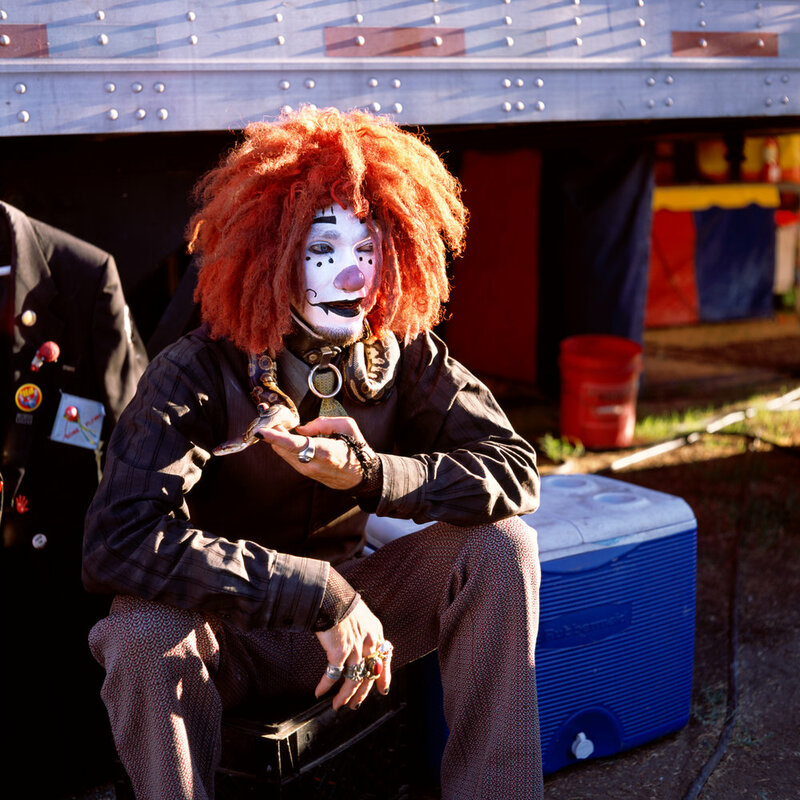 While the circus is an old European tradition, the sideshow is pure Americana, invented by P.T. Barnum in 1841 in New York City. 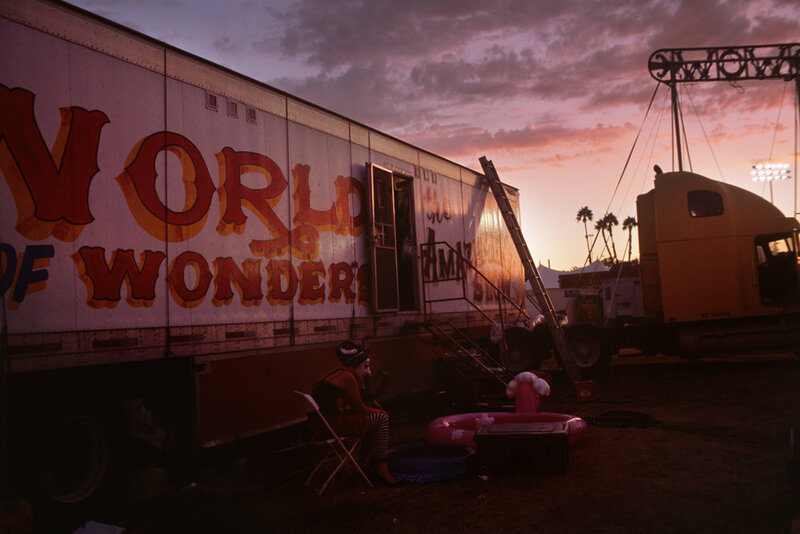 For decades, countless sideshows struck out to join state fairs or a touring circus, following the dusty roads to the next dollar. 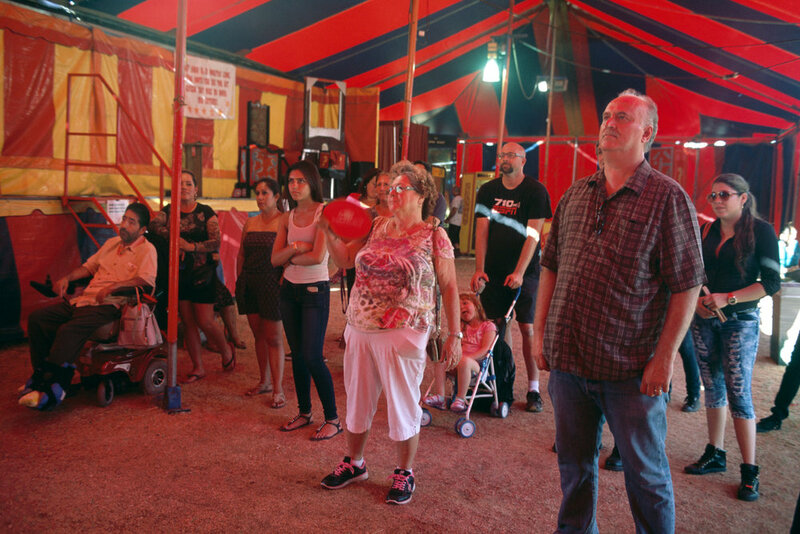 A few permanent sideshows remain, such as the one at Coney Island, Brooklyn. But there is just one traveling sideshow left, and it’s Ward Hall’s World of Wonders. Life in this sideshow requires true dedication. Performers live without many basic amenities such as air conditioning, heat, or running water; but they have electricity so they can light up the tent and perform late into the evening. There’s little privacy, which leads to the usual riffs of cramped quarters, but also to intensely loyal friendships and love affairs. 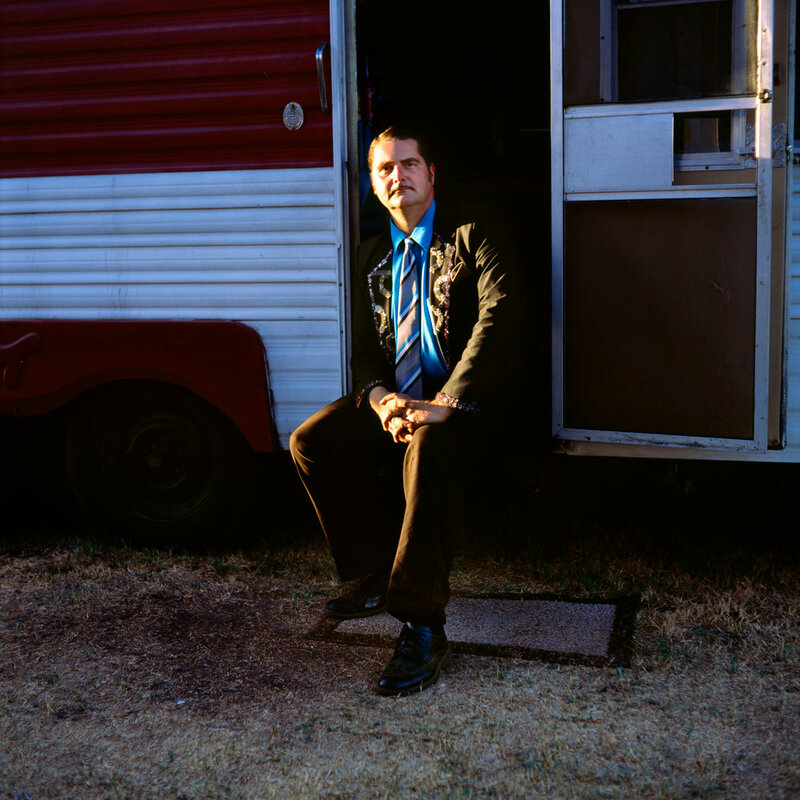 Photographed in Pomona, California in September 2014.